TIP OF THE MONTH: It's time to think about scheduling your Spring maintenance check up! Is your electric bill higher than your neighbors? Is one room in the house warmer than another? Is your attic the same temperature as the inside of your house? Why Choose Steve's Ultimate Air? 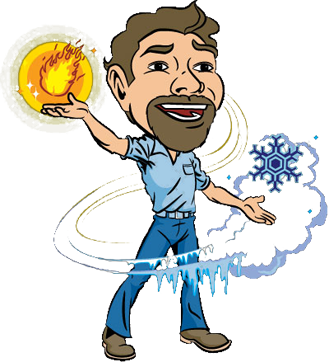 Steve’s Ultimate Air has been helping residents and businesses with their air conditioning and heating needs since 2010. Our small size allows us to have more of a specialized approach with our customers, quality of work and pricing. We take pride in the ability to see the same repeat customers year after year. We specialize in residential and commercial, air conditioning and heating service, repair and installation. We are an authorized dealer for Bryant Heating and Cooling Systems but service all makes and models of equipment. We are fully licensed, bonded, and insured. Please check out our excellent record with the Registrar of Contractors at www.azroc.gov as well as our excellent reviews on Google, Facebook and Yelp. Call 480-458-7287 or use the form below to book your appointment today! Call us at 602.244.9900 for more details. WE SERVICE AND REPAIR ALL BRANDS! Steve's Ultimate Air has been serving the Valley of the Sun since 2010, helping residents and businesses in the Phoenix, AZ Metro Area including Chandler, Gilbert, Tempe, and Mesa, AZ with their air conditioning, AC Repair, HVAC and heating needs. We strive to provide the highest quality service in HVAC installation and repair. Ask About our New AC Unit programs and specials!